In 1963 the English Folk Dance and Song Society released an LP of unaccompanied singing that has had a tremendous influence on the folk song revivals of Britain, Ireland and the United States. 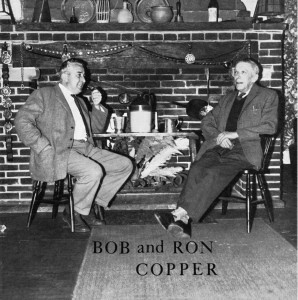 The album collected together a number of recordings of Bob and Ron Copper of Rottingdean in Sussex, recordings made by the renowned folksong collector Peter Kennedy during the late 1950s. To celebrate Record Store Day 2015 on 18th April Fledg’ling Records have re-issued this iconic album as a 12â€³ vinyl LP. The album is packaged in a front-laminated, flipback sleeve, just like the original, and an illustrated inner bag with Bob Copperâ€™s complete sleevenotes.